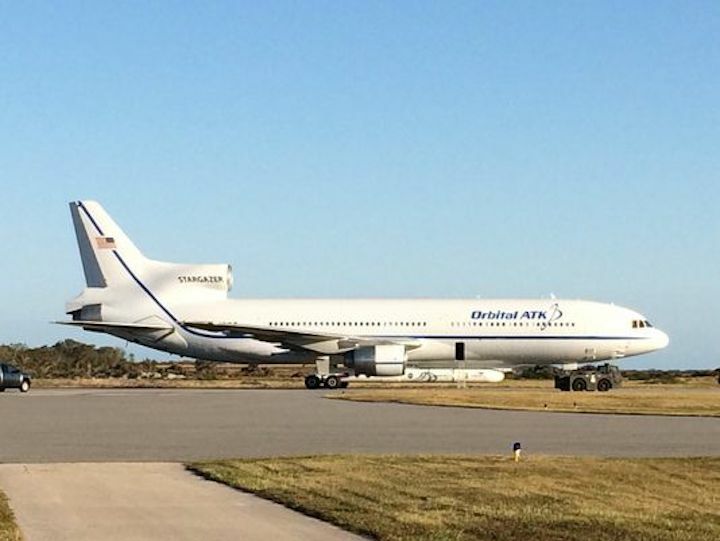 Orbital ATK's Stargazer L-1011 carrier aircraft, carrying a Pegasus XL rocket with eight NASA science satellites, arrived Friday afternoon at the Skid Strip at Cape Canaveral Air Force Station. NASA's Cyclone Global Navigation Satellite System mission is scheduled to fly from Cape Canaveral early Dec. 12. 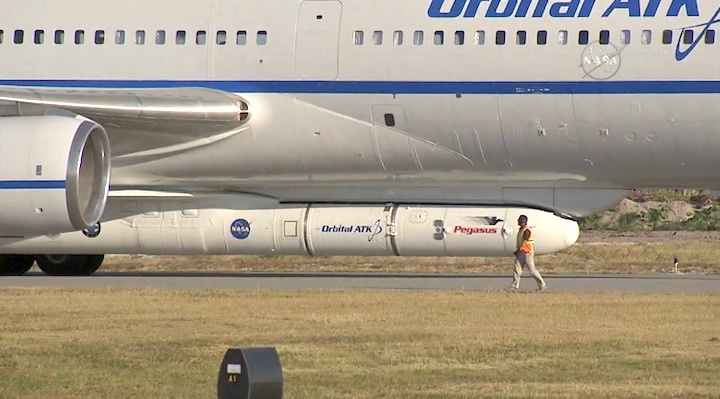 The air-launched Pegasus XL will be dropped over the Atlantic Ocean more than 100 miles east of Daytona Beach, at an altitude of nearly 40,000 feet. 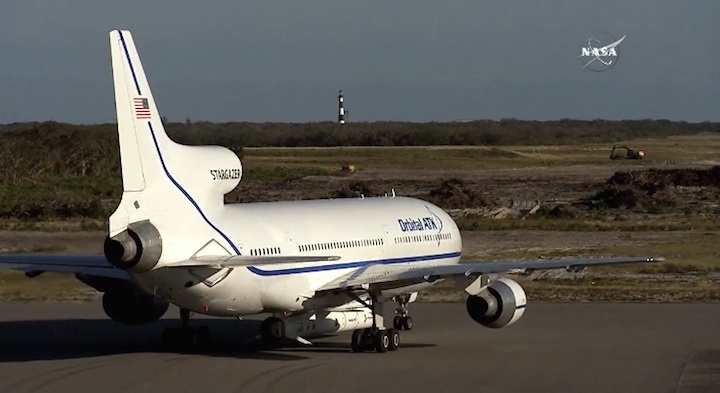 After a more than 13-year absence from the Space Coast, a Pegasus XL rocket carrying eight NASA satellites arrived Friday afternoon at Cape Canaveral in preparation for a Dec. 12 launch. 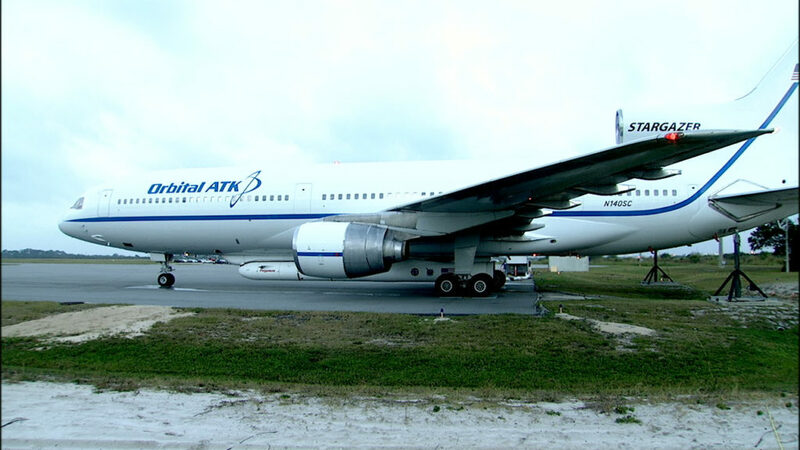 Orbital ATK’s L-1011 “Stargazer” carrier aircraft touched down on Cape Canaveral Air Force Station's Skid Strip at 3:57 p.m. with the 57-foot Pegasus attached to its belly. 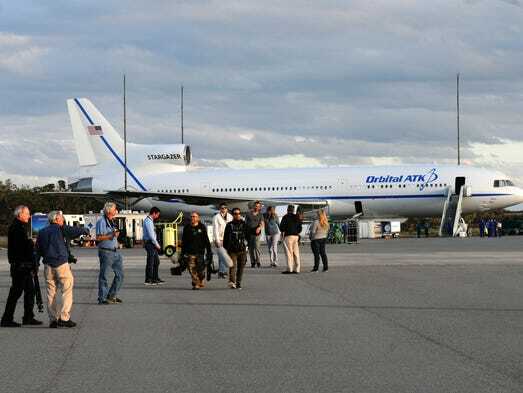 The Stargazer is expected to take off from the Skid Strip early Dec. 12 and fly to about 40,000 feet before dropping the winged Pegasus rocket over the ocean more than 100 miles east of Daytona Beach. Launch is targeted for 8:24 a.m., during a one-hour window that opens at 8:19 a.m. The three-stage, solid-fueled Pegasus aims to deploy deploy eight small satellites — each weighing about 64 pounds — that comprise NASA’s $157 million Cyclone Global Navigation Satellite System mission, or CYGNSS for short. The spacecraft will measure ocean surface wind speeds within the core of hurricanes to improve understanding about how the storms intensify. 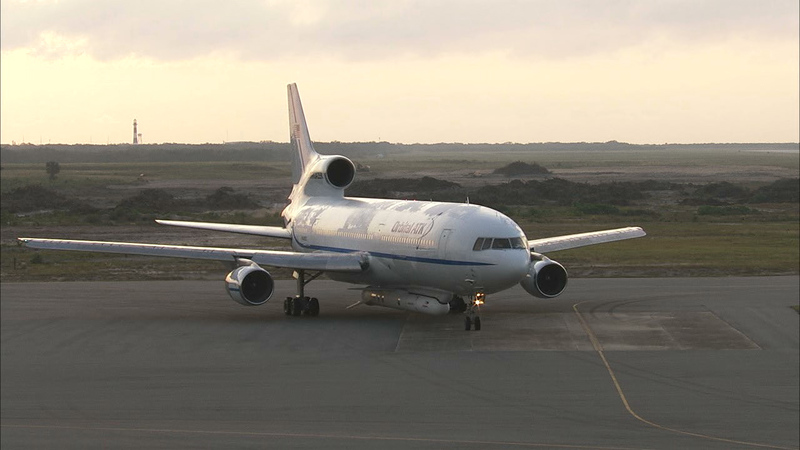 The mission is the 42nd by a Pegasus since its debut in 1990, and the first from Cape Canaveral since April 2003. The rocket has several failures on its record, but none since 1996. Here's a closer look at Orbital ATK's Stargazer L-1011 carrier aircraft and Pegasus XL rocket, scheduled to launch Monday morning. Video by Craig Bailey. Posted Dec. 11, 2016. Editor's note: Join floridatoday.com for launch updates, including streaming of NASA TV coverage, starting at 6:45 a.m. Monday. Monday morning’s planned rocket launch of NASA weather satellites isn’t one you’ll hear or see, except on TV. 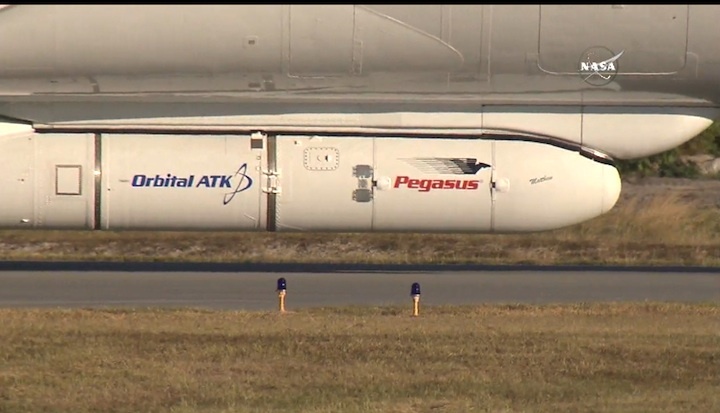 Orbital ATK’s winged Pegasus XL rocket, flying from the Cape for the first time in 13 years, will launch far out over the Atlantic Ocean, after being dropped from a carrier aircraft at nearly 40,000 feet. 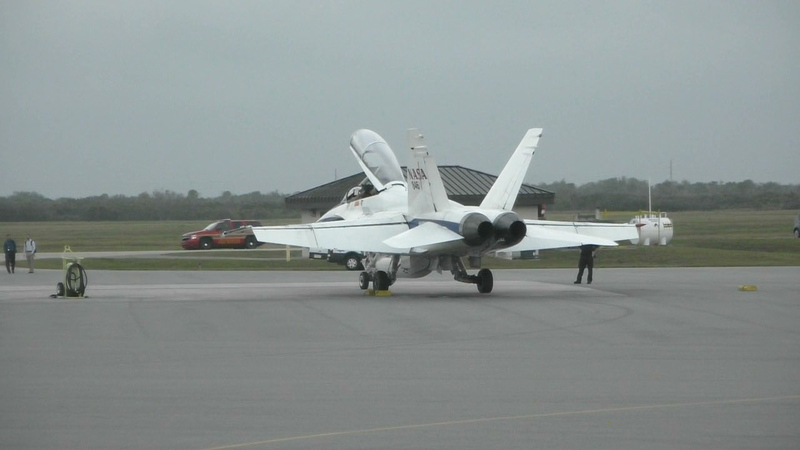 An F-18 chase plane will provide views of the rare air-launch, which is targeted for 8:24 a.m., to NASA TV. The 57-foot, 50,000-pound Pegasus is charged with delivering NASA’s $157 million Cyclone Global Navigation Satellite System mission, or CYGNSS, to low Earth orbit. The experimental mission, led by University of Michigan scientists, will try out a new technique for measuring sustained winds in the middle of tropical storms. That's important information to help forecasters determine if storms are gaining strength or weakening. But it’s difficult to get from current satellite instruments, which can’t penetrate heavy rain, and “hurricane hunter” aircraft that can only fly over parts of storms every so often. As a result, forecasts over time have gotten better at predicting where storms are headed, but not how strong they’ll be when they make landfall. “Our ability to forecast how strong the hurricane is going to be when it makes landfall will get much better,” said Chris Ruf, the mission’s lead scientist from the University of Michigan. The weather forecast is iffy for Monday’s launch attempt. Potential rain and clouds combine for a 40 percent chance of acceptable weather during a one-hour launch window opening at 8:19 a.m. 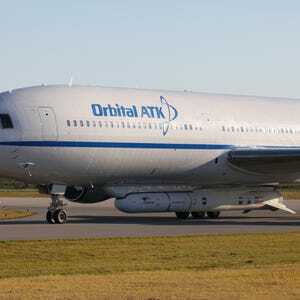 The flight plan calls for Orbital ATK’s L-1011 Stargazer carrier aircraft to take off from the Skid Strip at Cape Canaveral Air Force Station about 7 a.m., with the roughly 50,000-pound, 57-foot-long Pegasus fastened to its belly. A launch conductor on the ground will give the pilot the go-ahead to release the rocket inside a designated “drop box” measuring about 45 miles by 10 miles. If conditions aren’t right, the aircraft can circle around for one more try later in the window. 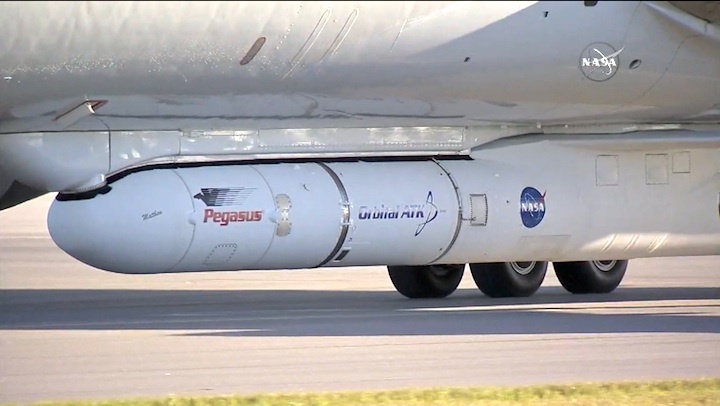 Once dropped, the three-stage, solid-fueled Pegasus will fall for about five seconds before igniting its first-stage engine and rocketing upward. The first pair of CYGNSS micro-satellites should be deployed about 13 minutes later, followed by three more pairs in 30-second intervals. Each spacecraft weighs about 64 pounds and is described as the size of a grown swan, once solar panels are deployed. The constellation will form a line around the planet 315 miles up, flying within a band above and below the equator where most tropical storms form. “All these satellites in combination give us great coverage over the tropics, where we expect most of the tropical cyclones to be,” said Mary Morris, a University of Michigan doctoral student involved in the mission. The spacecraft are equipped with receivers to catch Global Positioning System signals — the same signals smart phones and other devices use to give your location — that are reflected off the surface of the oceans. The strength of the reflected signals will enable calculations of wind speeds at the center of storms, with measurements of the same location possible every seven hours on average. If the technique works well, it could be folded into official hurricane tracking models. The mission is funded for two years, but could be extended. The micro-satellites are designed to last five years or more. If the Pegasus can’t take flight on Monday, another opportunity is available Tuesday morning. The L-1 Day forecast from the U.S. Air Force 45th Weather Squadron has improved to a 60 percent chance of favorable weather for the launch of NASA’s CYGNSS mission spacecraft. Launch is scheduled for 8:24 a.m. EST Monday during the one-hour window, which opens at 8:19 a.m. CYGNSS will take off aboard an Orbital Sciences ATK air-launched Pegasus XL launch vehicle about an hour before launch. 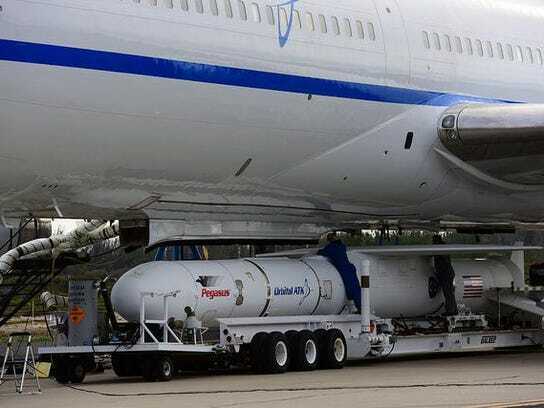 The rocket is scheduled for deployment over the Atlantic Ocean from Orbital’s L-1011 carrier aircraft. Launch coverage will begin at 6:30 a.m. here on NASA’s Launch Blog and at 7 a.m. on NASA Television and the agency’s website. 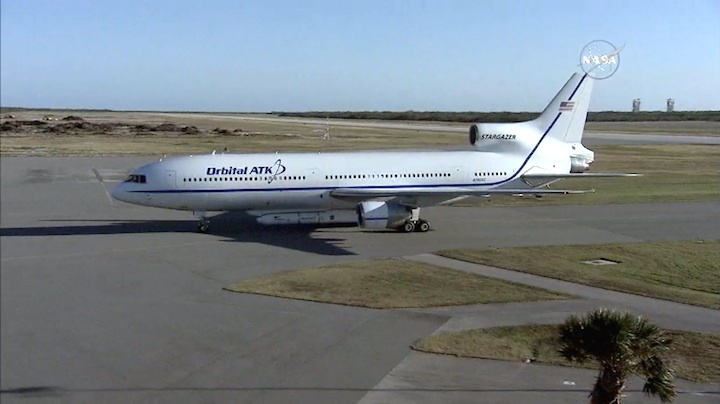 The planned launch of NASA’s CYGNSS spacecraft aboard an Orbital ATK Pegasus rocket has been postponed. 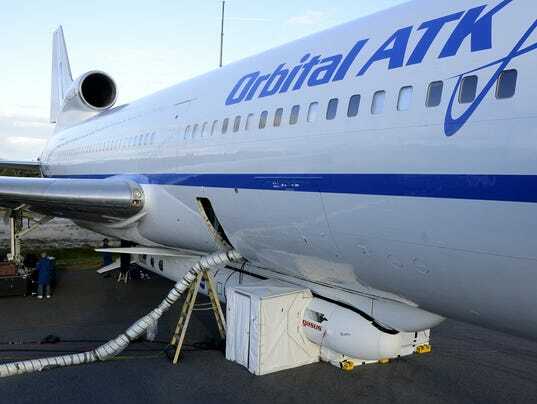 A hydraulic pump aboard the Orbital ATK L-1011 Stargazer aircraft, which is required to release the latches holding Pegasus in place, is not receiving power. 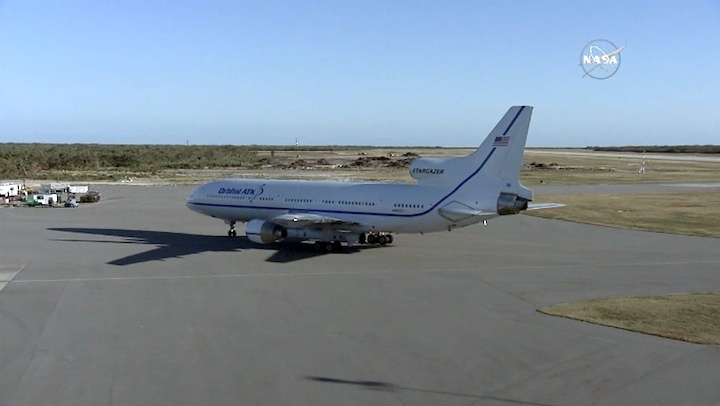 Teams will assess the issue after the Stargazer lands at the Cape Canaveral Air Force Station Skid Strip. The next possible launch opportunity is Tuesday, pending resolution of the pump issue. The CYGNSS satellites are designed to make frequent and accurate measurements of ocean surface winds throughout the life cycle of tropical storms and hurricanes. An Orbital ATK L-1011 Stargazer aircraft carrying a Pegasus XL Rocket with eight NASA Cyclone Global Navigation Satellite System, or CYGNSS, spacecraft takes off from the Skid Strip at Cape Canaveral Air Force Station, Florida. 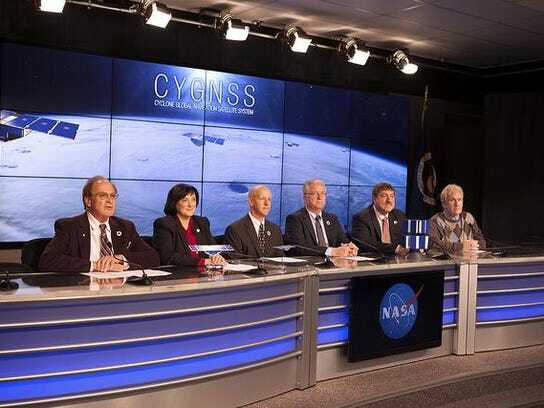 NASA is rescheduling the launch of its Cyclone Global Navigation Satellite System (CYGNSS) spacecraft for no earlier than Wednesday, Dec. 14, from Cape Canaveral Air Force Station in Florida, during a one-hour window that opens at 8:20 a.m. EST. Once in orbit, CYGNSS will make frequent and accurate measurements of ocean surface winds throughout the lifecycle of tropical storms and hurricanes. The CYGNSS constellation consists of eight microsatellite observatories that will measure surface winds in and near a hurricane’s inner core, including regions beneath the eyewall and intense inner rainbands that previously could not be measured from space. Posted on December 13, 2016 at 10:18 pm by Anna Heiney. 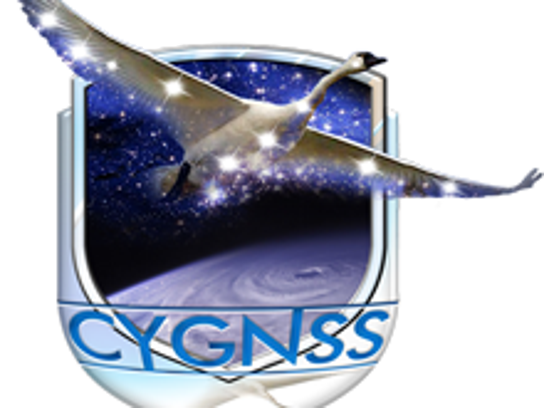 The CYGNSS launch planned for Wednesday, Dec. 14 is being delayed due to an issue with flight parameter data used by spacecraft software. The issue was discovered during routine testing Tuesday. The new flight parameter data have undergone verification testing on the engineering model, and will be uploaded to the spacecraft on Wednesday. 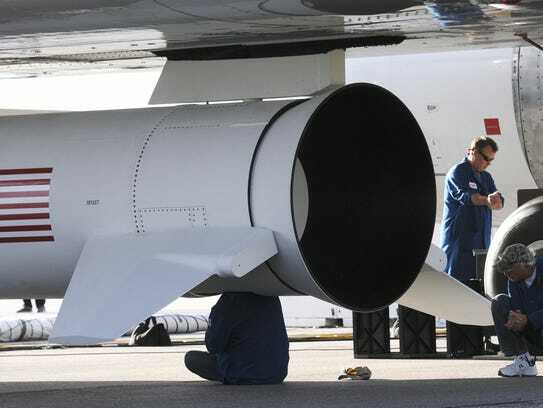 The uploading of new flight data is a very routine procedure, and is expected correct the issue. The next launch attempt will be determined pending the results of ongoing tests. Posted on December 15, 2016 at 6:25 am by Anna Heiney. Today’s launch of NASA’s CYGNSS spacecraft aboard an Orbital ATK Pegasus XL rocket now is scheduled for 8:35 a.m. EST. The launch window extends to 9:21 a.m. The weather outlook has improved to a 90 percent chance of favorable conditions at launch time, with cumulus clouds the primary concern. Weather currently is “green” on all Eastern Range and user constraints. 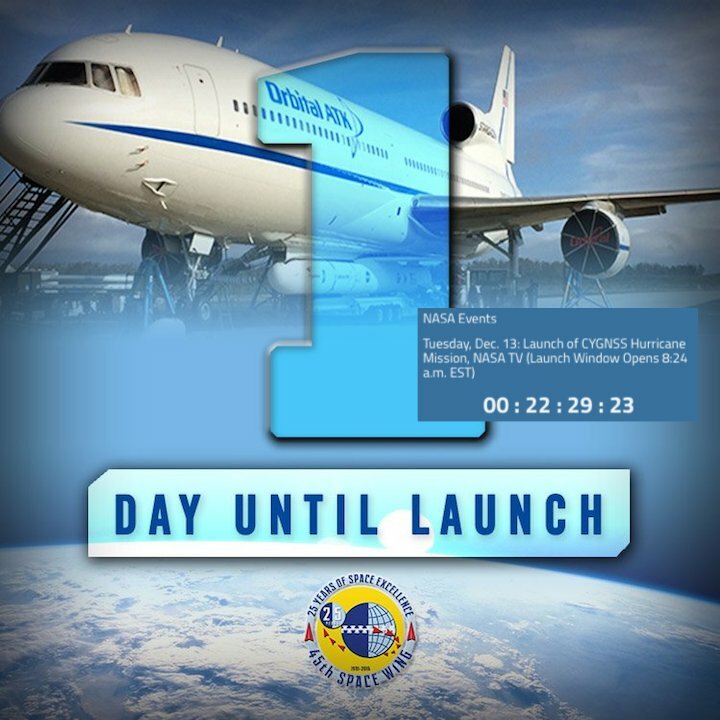 Live updates from the countdown begin here on the blog and on NASA TV at 7 a.m. 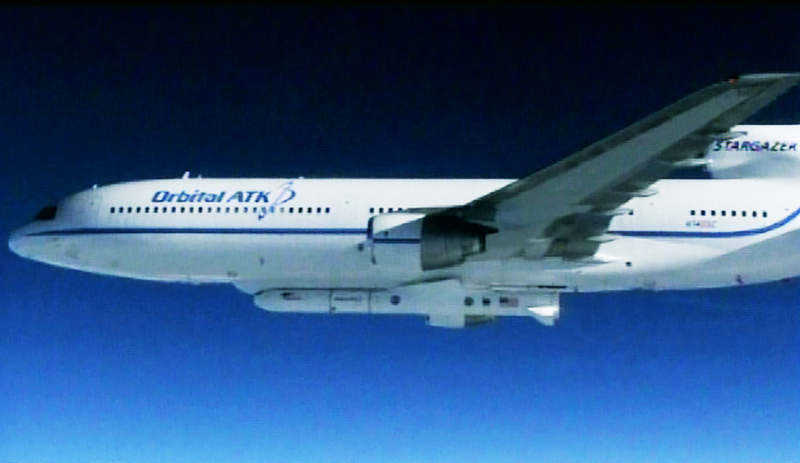 The Pegasus XL rocket is an air-launched vehicle that begins its flight after it is dropped from Orbital ATK’s modified L-1011 aircraft, “Stargazer,” which will take off from the Skid Strip runway at Cape Canaveral Air Force Station and carry the rocket to its release point above the Atlantic Ocean an altitude of approximately 39,000 feet. So, for those visiting or living in the Central Florida area who are looking for viewing suggestions, this will be a tough launch to see outside, and viewing online and on television is recommended. Posted on December 15, 2016 at 7:00 am by Anna Heiney. NASA’s Cyclone Global Navigation Satellite System mission, or CYGNSS, is scheduled to begin this morning with launch aboard an Orbital ATK Pegasus XL rocket at 8:35 a.m. EST. The one-hour launch window extends until 9:21 a.m. Forecasters with the U.S. Air Force 45th Weather Squadron predict a 90 percent chance of favorable conditions at launch time, so weather is not expected to be a concern today. 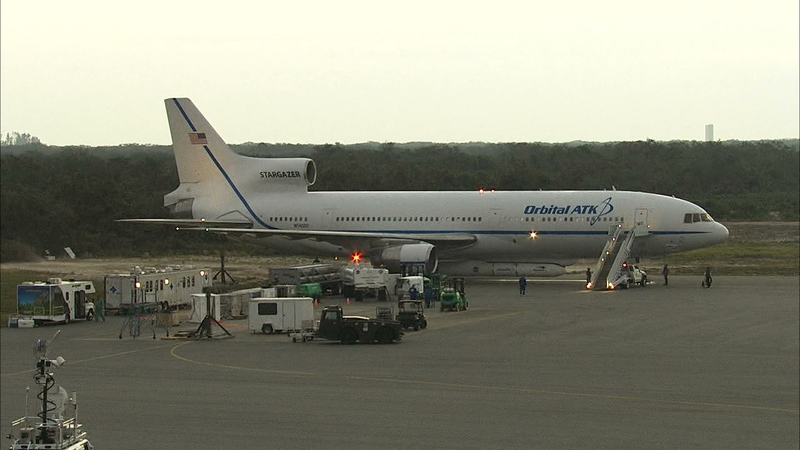 Preflight activities are in progress at the Skid Strip runway at Cape Canaveral Air Force Station in Florida, where Orbital’s “Stargazer” L-1011 aircraft will take off with the rocket, carrying it to an altitude of about 39,000 feet and deploying it about 110 nautical miles east-southeast of Daytona Beach. The access door to the forward section of the plane is closed, the stairs have been removed and all three engines are running. The CYGNSS mission features a set of eight microsatellites that will fly in formation more than 300 miles above Earth, measuring ocean surface winds throughout the life cycle of tropical cyclones and helping scientists and forecasters better understand how these storms intensify. 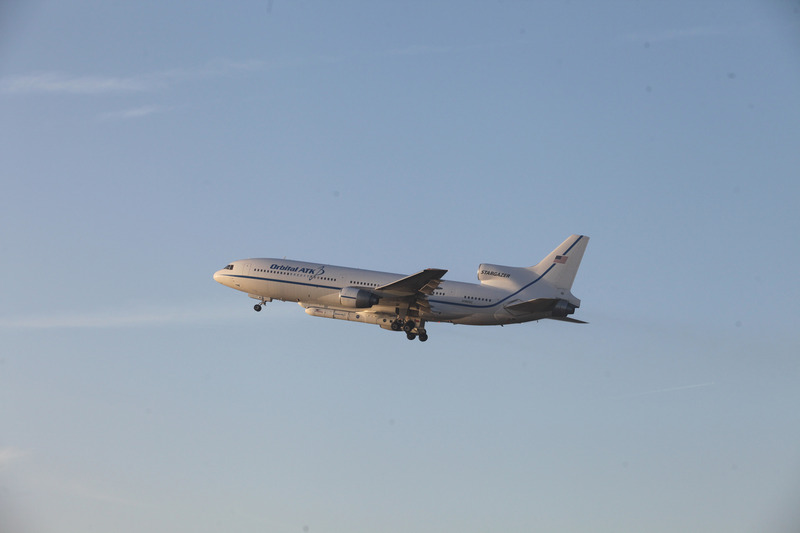 Takeoff of the L-1011 is expected around 7:35 a.m. A NASA F-18 aircraft provided by the agency’s Armstrong Flight Research Center in California will serve as a chase plane today, providing visual contact and video of the L-1011, Pegasus XL rocket and the drop/launch sequence. The F-18 will take off shortly before the L-1011. Posted on December 15, 2016 at 7:05 am by Anna Heiney. CYGNSS will utilize a constellation of eight microsatellite observatories that will be placed in a circular orbit more than 316 miles above the Earth’s surface. With an orbital inclination of 35 degrees, the small spacecraft will concentrate on the region nearest the equator — the tropics — where these cyclones form. The mission will measure surface winds in and near a hurricane’s inner core, including regions beneath the eyewall and intense inner rainbands that previously could not be measured from space. Once fully deployed, each CYGNSS microsatellite will weigh close to 64 pounds and measure about 5.4 feet long by 1.7 feet wide, and a depth of about three quarters of a foot. 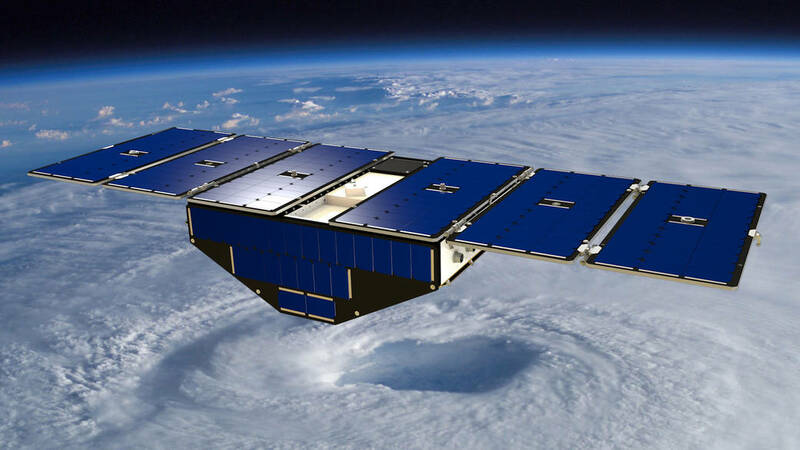 The Delayed Doppler Mapping Instrument (DDMI) installed on each satellite will provide wind-field imagery of the formation, intensification and decay of tropical cyclones in unprecedented detail. The DDMI also allows the CYGNSS observatories to receive signals from GPS satellites as well as signals reflected off the ocean’s surface. Posted on December 15, 2016 at 7:11 am by Anna Heiney. NASA’s Launch Services Program, or LSP, is based at the agency’s Kennedy Space Center in Florida. 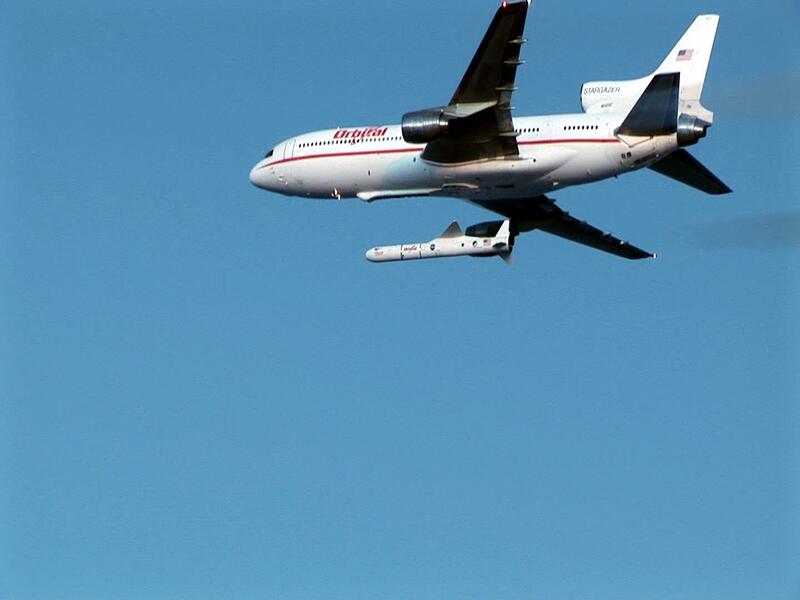 The program selects the best launcher for each mission’s payload, and selected the Pegasus XL vehicle for the eight microsatellites comprising the CYGNSS spacecraft. CYGNSS will be the 15th NASA mission LSP has launched aboard the Pegasus vehicle. Posted on December 15, 2016 at 7:17 am by Anna Heiney. Standing by for taxi of the L-1011, as well as the chase plane, which will take off prior to the L-1011. Posted on December 15, 2016 at 7:23 am by Anna Heiney. 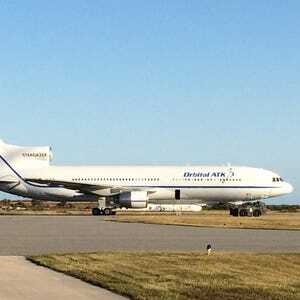 The Orbital ATK Stargazer L-1011 aircraft is taxiing to the end of the runway at the Skid Strip in preparation for takeoff. The F-18 chase plane should follow shortly. Posted on December 15, 2016 at 7:27 am by Anna Heiney. 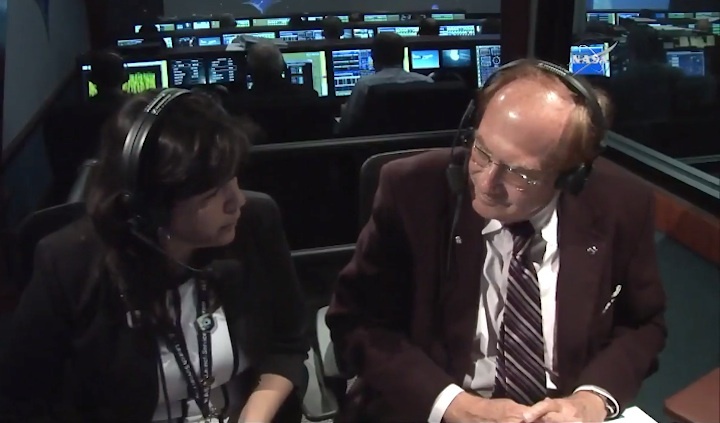 NASA Launch Manager Tim Dunn has polled his team and given the L-1011 clearance for takeoff. Posted on December 15, 2016 at 7:29 am by Anna Heiney. The NASA F-18 clase plane that will provide visual contact and video of the L-1011 and Pegasus XL rocket once they’re airborne is taxiing into position for takeoff from the Skid Strip runway at Cape Canaveral Air Force Station in Florida.